If you want to learn more about bouldering in Ireland then check out theshortspan.com which has news, a forum and a new problem database. Bouldering in Ireland is now out of print. A new edition is planned for summer 2019. 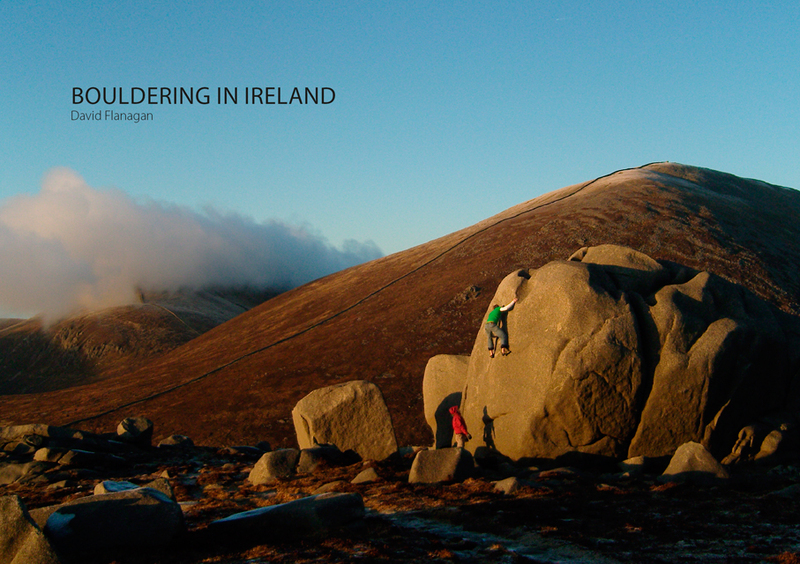 Check out Bouldering in Ireland with details every major and minor bouldering area across the length and breadth of the island of Ireland including Glendalough and The Wicklow Mountains, The Reeks, The Burren, Connemara, North West Donegal, Inishowen Peninsula, Fair Head, The Mournes and many more. "Open at a random page and the chances are you will behold a piece of rock that howls to be climbed. In fact the whole thing just looks good." "This is a thoroughly modern affair, similar in style to Rupert Davies' Peak bouldering guide and Ryan Plews and Steve Dunnings' recent Yorkshire bouldering guide. It showcases the best that Ireland has to offer, and is both revelatory and inspiring in the process." 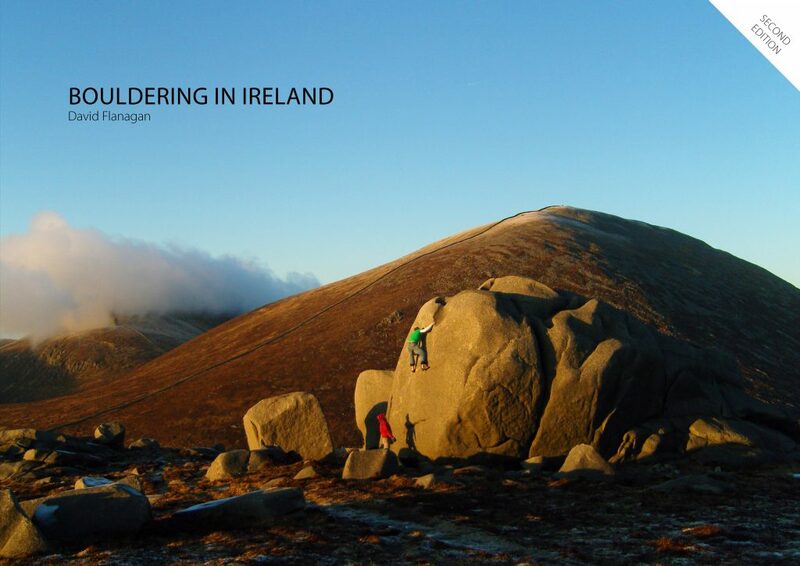 "I received a copy of Dave Flanagan's long-anticipated guide to Bouldering in Ireland and it is obvious from the first flick-through that this is one of the most stunningly produced bouldering guides out there! It is simply slabber-inducing and the sense of adventure jumps off each page." "Both the volume of problems detailed (over 1700) and the range of sumptuous colour photographs combine to create a vision of an endlessly rich and surprising bouldering region, and one which has seemingly limitless scope for further exploration."